SilkAir had announced their latest airfare promotion and you can’t find it from SilkAir website. 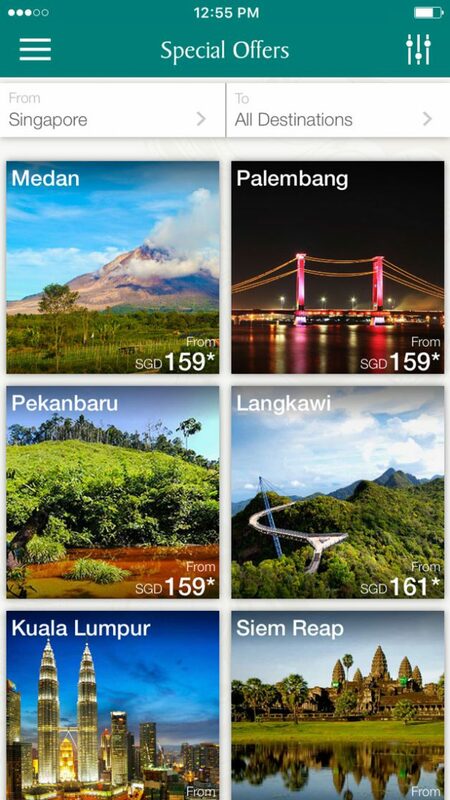 The exclusive deal is only available on SilkAir mobile app. SilkAir is going all out to target mobile users, launching a campaign to invite savvy travellers to make their flight bookings through their app. In return, you get cheaper than expected prices in an exclusive promotion. The regional airline arm of Singapore Airlines is currently tying up with MasterCard offering some attractive all-in return airfares to popular destinations in Asia. Featured locations includeLangkawi for $161, Phuket from $189, Koh Samui from $399, Kathmandu from $699, Bandung from $229, Hanoi from $259 and much more. You just need to download SilkAir mobile app from Google Play or App Store, navigate to the Special Offers from the left menu panel. Travel periods for the promotional airfares are from 10 October 2016 to 28 February 2017. Book using your MasterCard by 17 October 2016 or while seats last, peak period charges apply.